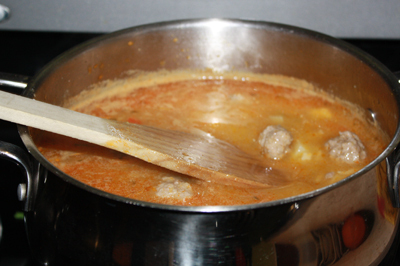 Share the post "Yellow Squash and Meatballs Soup"
Pour two tablespoons of olive oil in the frying pan, heat it up and place all the cut veggies in the frying pan. For the spices I use a 1 teaspoon of kosher salt, paprika, cumin. A little bit of pepper, and parsley, plus one bay leave. 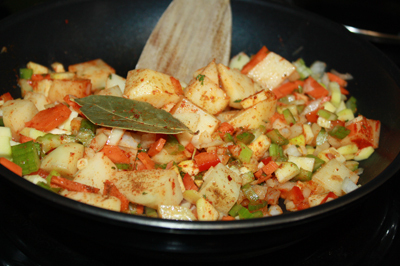 Mix it all and fry for about 5 to 10 minutes. 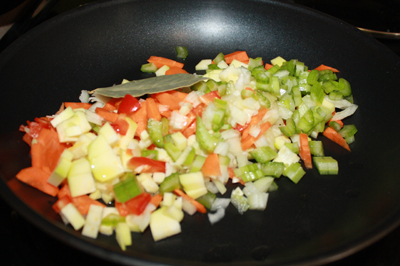 Add 1 tablespoons of flour over the veggies and mix it again. Medium heat high by the way. Put aside. 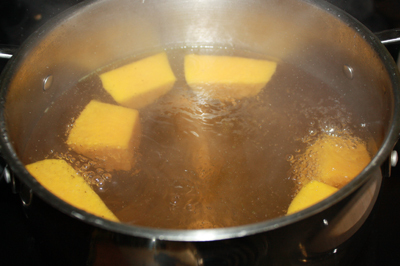 Go back to the pot with bouillon and squash. Place the soft squash in the mixer and make it smooth. Put it back into the bouillon, and add the veggies. 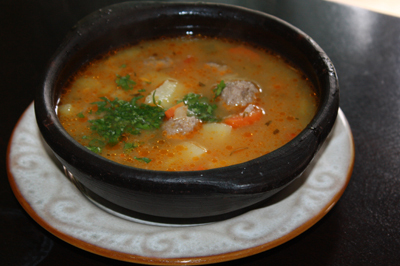 I add some rice as well, around 3 tbsp. 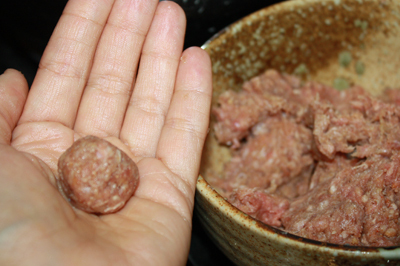 While it is all cooking, roll the meat balls in a tiny balls. Drop it in the soup and let it all cook for another 15-20 min. On a medium….even less heat high. Mix it well…. wet your hands and shape the meatballs into a bite sized balls. Adjust spices a the end if you feel like something is missing! >I am so glad you did it! I thought that pictures (visual) might help a lot!